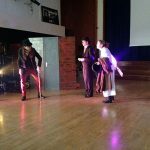 Recently, as Year 11s preparing for our GCSE examinations, we were given the opportunity to watch a performance of ‘The Strange Case of Dr Jekyll and Mr Hyde’ by the Four of Swords theatre company. 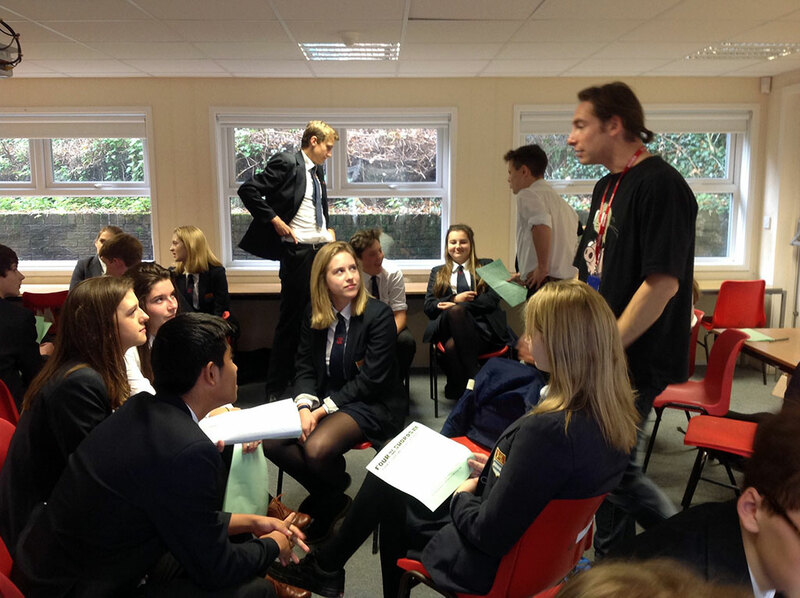 The idea of the performance was to bring the novel to life and help give us a more visual understanding of the main events that occur throughout the novel. 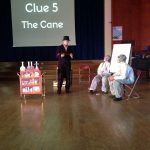 Most of us had already read the book and so had some basic background knowledge, however the simplicity and comedy of the performance allowed us to subconsciously take in even more information without just sitting and learning in a classroom. For those who had limited knowledge prior to the performance, I feel as though this was a good way for them to develop a clearer understanding and will help them immensely in the exams. 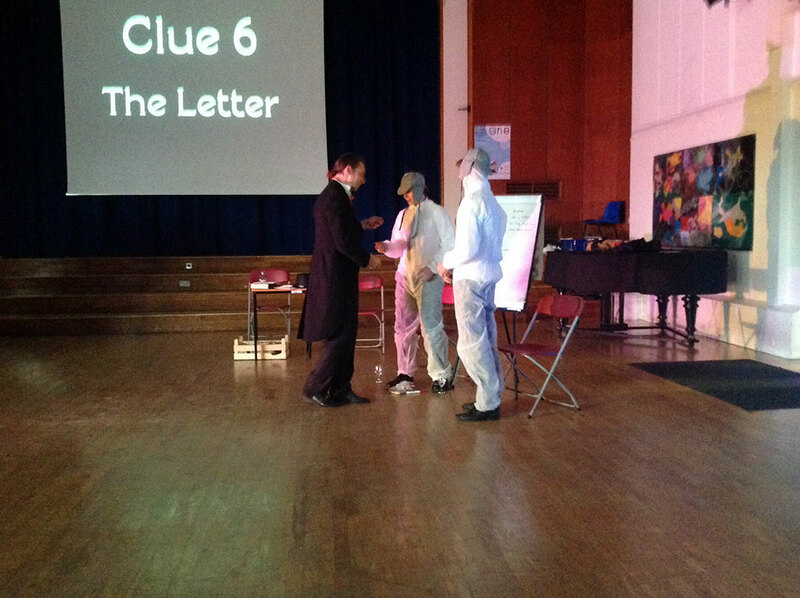 As a whole the performance was executed well and completed its objective. The cast clearly had a good working relationship and this reflected the overall outcomes of the play; you could see this by the way they bounced off each other and the trust and confidence they held between them. 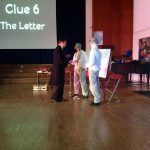 Considering the restrictions of performing in the school hall, I think that they did an outstanding job and clearly conveyed everything they needed to, although at times the performance did come across as slightly staged. 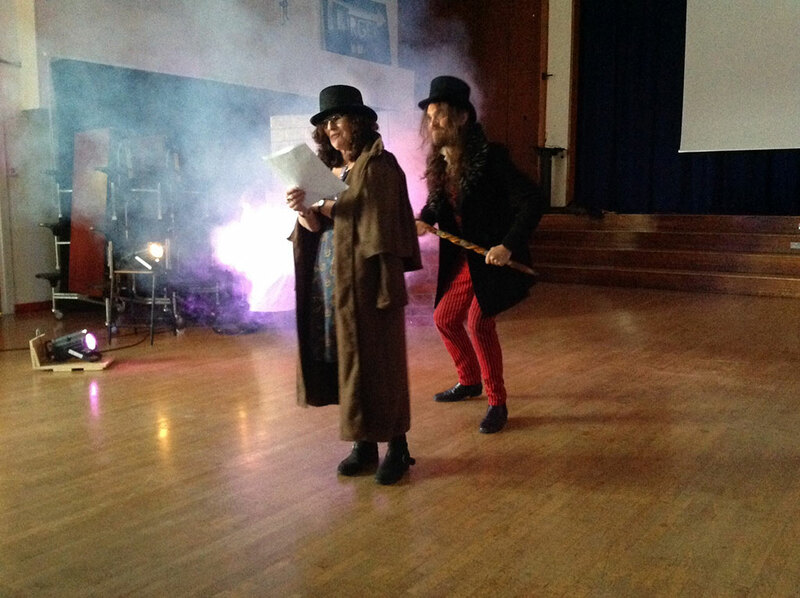 Some of us liked the multi-media elements of the production as they reminded us of the writer, Robert Louis Stevenson, and his intentions. 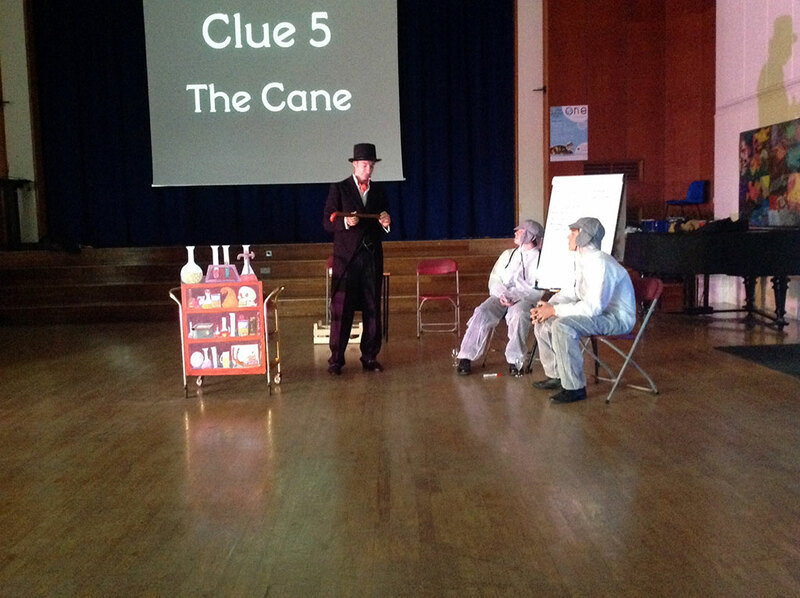 They kept us as an audience involved and interacted with us throughout the duration of the play and even brought two of our students on to the stage to act as crime scene investigators, noting down clues about Hyde’s actions. 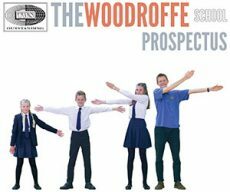 Overall it was very concise and was delivered with confidence, passion and detailed knowledge. 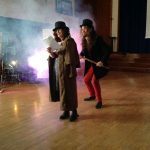 We were given the opportunity after watching the performance to go back to our classrooms and work with the actors to try and produce our own piece of Jekyll and Hyde theatre. 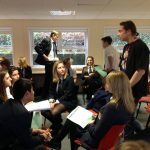 Two groups performed their pieces in front of the year group and based them on the idea of a chat show where the characters from the novel were interviewed so we could develop a deeper understanding of character. 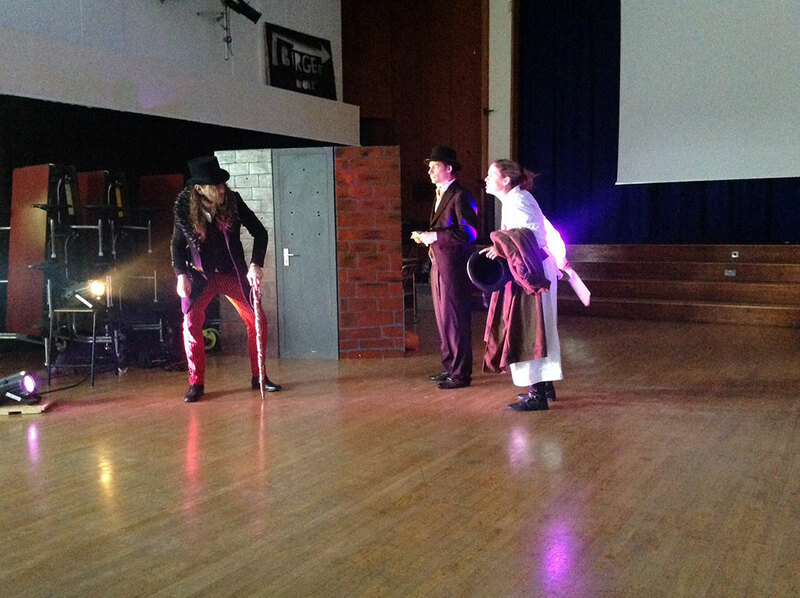 We all enjoyed Jagen’s re-enactment of Dr Jekyll’s transformation to Mr Hyde; this provided a lot of humour but was also a convincing and confident performance from beginning to end.